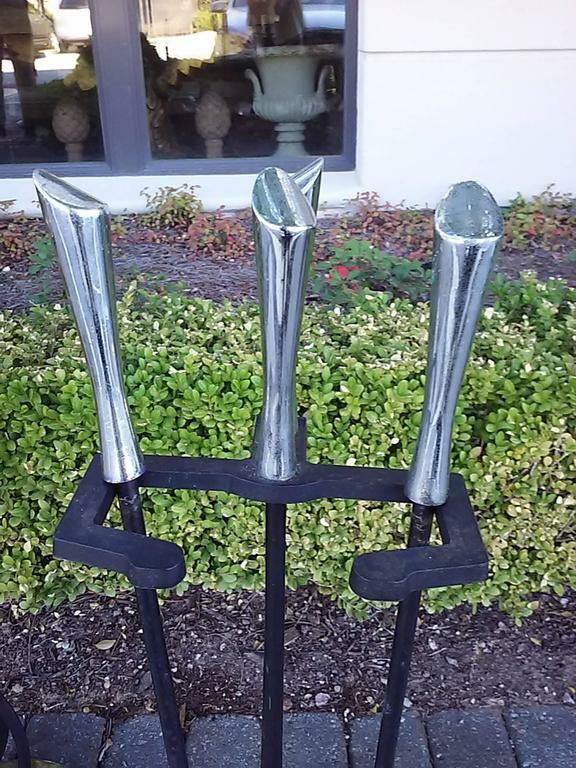 Mid-Century chrome fire tools on stand. 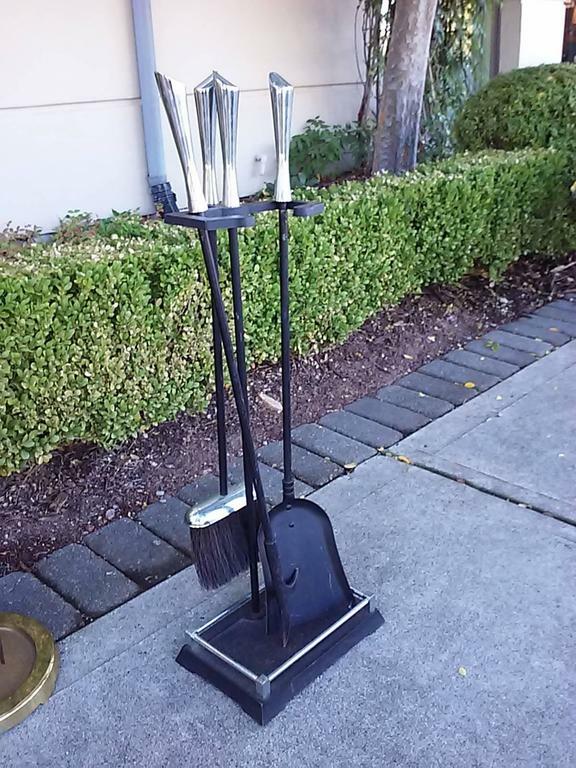 Mid-20th Century brass three-piece fire tool set on stand. 19th century brass and iron fire tool stand Measures: 8.25" square x 28.25" tall (Arms: 7.75" W x 3.25" D). 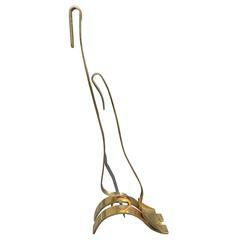 This fire place tools on stand is made of brass and lacquered iron. It has a nice design, very simple. This is a French work, circa 1970. 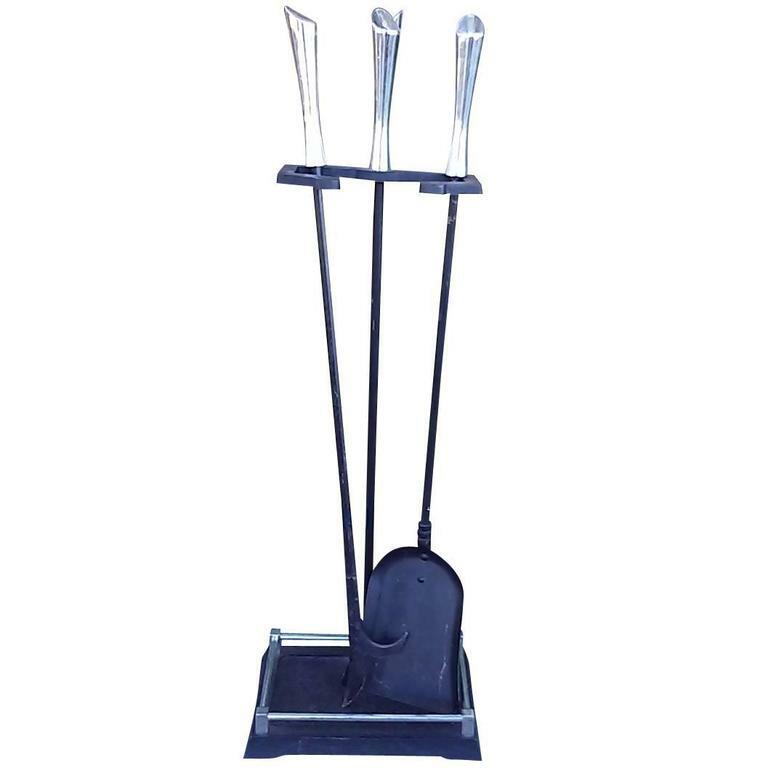 This nice set of fire place tools stand on a glass and brass stand, which is very elegant (Glass has a little chip on a bottom corner, which can be sanded). French work, circa 1970. French Art Nouveau stand fire tools. 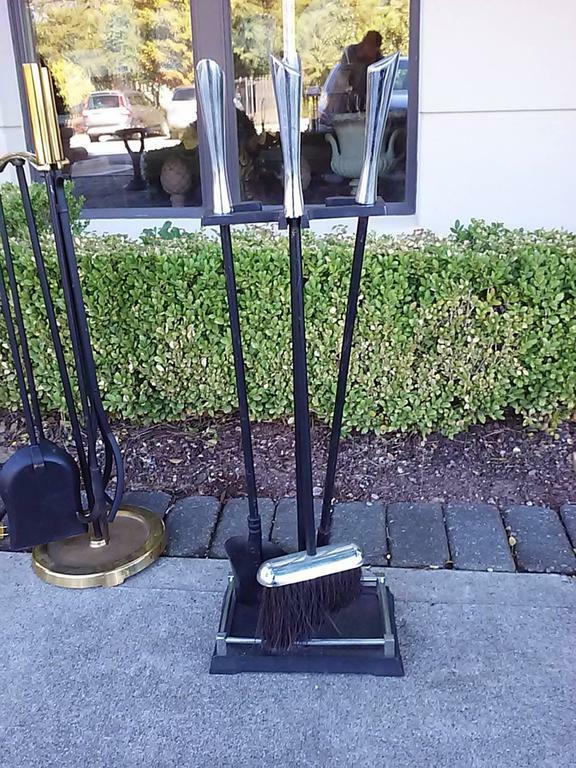 These modernist fire place tools on stand are made of black lacquered iron. The design of these fire place tools is very simple and modernist. They are French, circa 1970. Set of French polished brass fire tools on a decorative stand, 19th century.